We have been serving Oakdale, Bohemia, and Sayville areas since 1999. At Dragon Gate Martial Arts Academy we are a family of dedicated martial artist, committed to helping you Become Your Best Self! Our Mighty Dragons program will keep your child moving from start to finish. We believe that kids at this age need to learn how to balance, weight bear, Run, and jump, as well as our basic martial arts techniques. Every class is designed to help your child Become Their Best Self Using the Martial arts as our vehicle, Our main focus is to teach your child Goal Setting, bully prevention tactics, and realistic Self Defense. 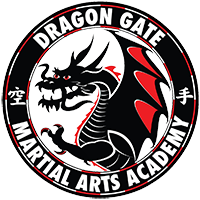 Our certified instructors incorporate Techniques from an array of different martial arts disciplines to insure our students are ready to defend themselves and are fitness minded. We’ve had adult classes 4 nights a to help fit your schedule.